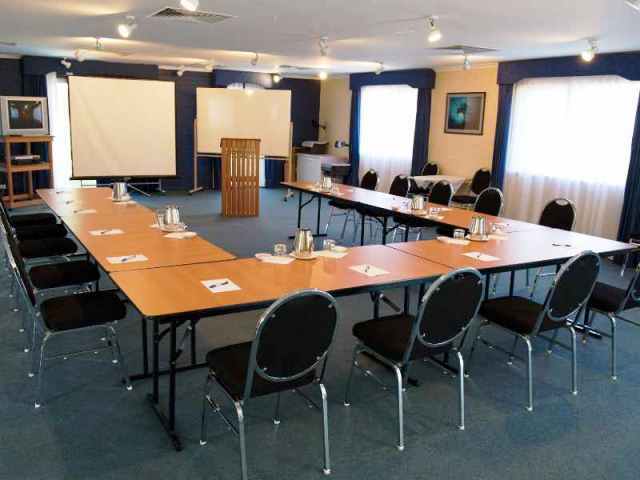 Mollymook Shores Conference & Functions Venue. Featuring natural light and air-conditioned comfort, at approx. 116m2, the conference room has a seating capacity of up to 24 delegates in a U-shape to 70 in theatre-style. Complimentary in-house equipment includes: • electronic & standard whiteboards • flip-charts • overhead projector • large screen • 63cm television and VCR/DVD • lectern • tele-conference phone (call costs apply) WiFi broadband internet is also available. Several areas around the Motel are also suitable for break-out groups.